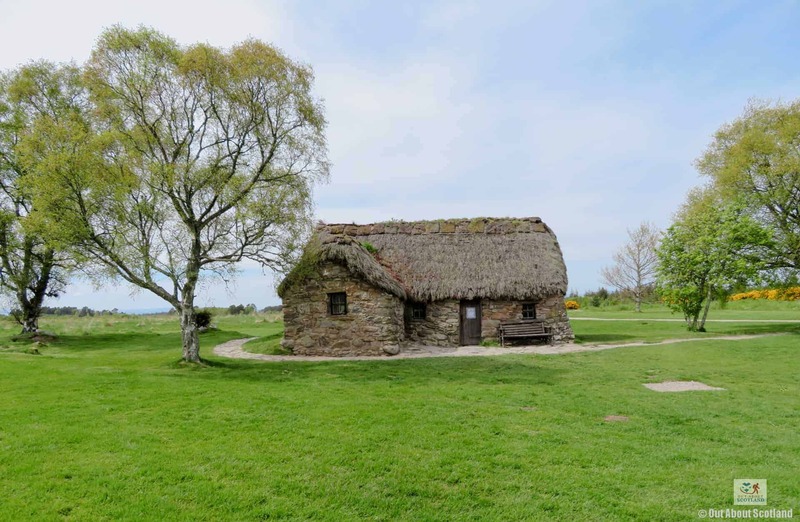 The Battle of Culloden in 1746 is famous not only for being the last pitched battle to be fought on British soil, but also for being the final decisive defeat of the Jacobite forces which ended their claim to the British throne by the Stuart monarchy. 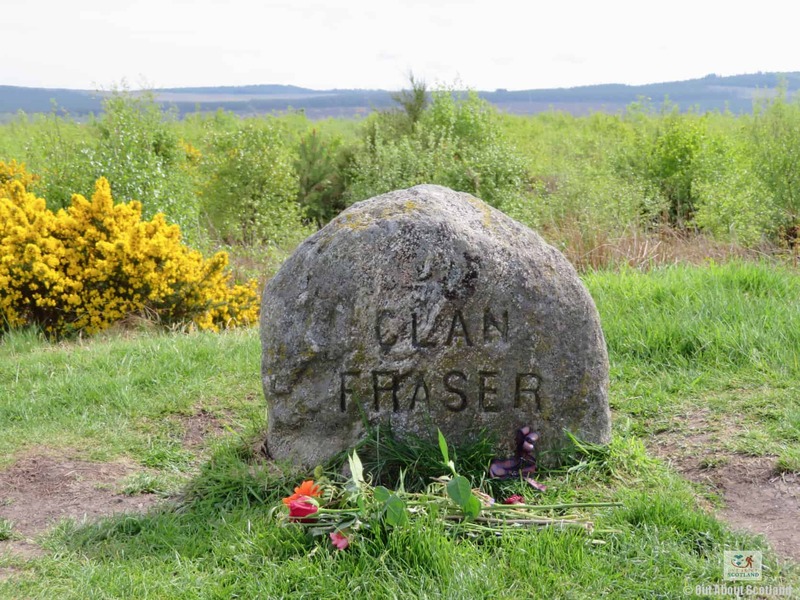 The events that lead up to Culloden began in earnest in 1745 when Charles Edward Stuart called the clans of Scotland together during a momentous rally that took place in Glenfinnan in the Highlands, and it was here that Charles, otherwise known as the ‘Young Pretender’, began his challenge to reclaim the British throne for the House of Stuart. 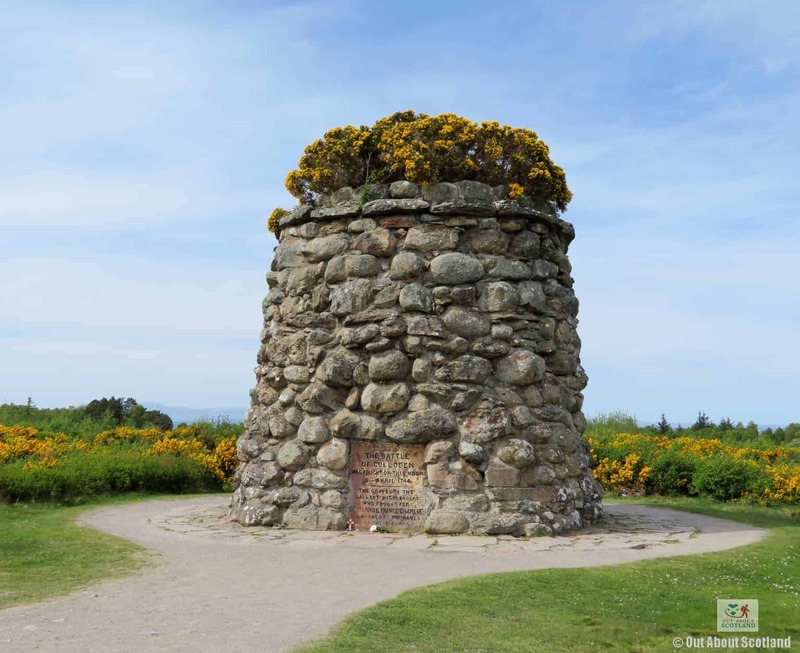 While the Jacobite rebellion faded away over time, their sacrifice on the battlefield is memorialised with a 20-foot tall memorial cairn, erected in 1871. 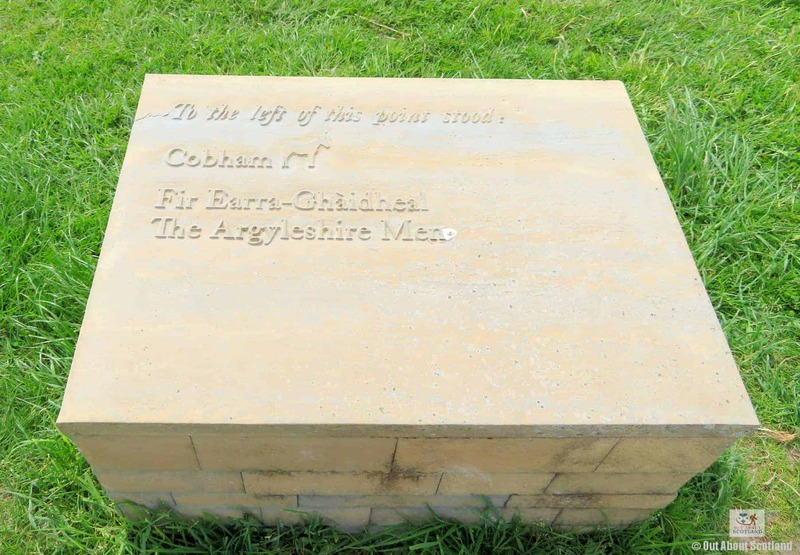 Today, visitors to the battlefield can follow paths that lead around the main areas of the battle, where information tablets have been installed so that you can identify where the lines of the British and Jacobite forces began. 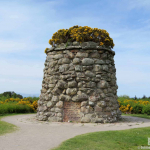 The memorial cairn itself is an impressive structure and is often covered with flowers from members of the public with historic clan ties, while nearby there are a number of memorial stones which depict each of the clans that fell during that fateful day on 16 April 1746. 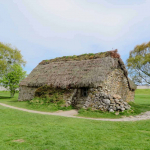 As you enter the battlefield you’ll see the Old Leanach cottage which served as a field hospital for the government troops, while the huge National Trust for Scotland visitor centre lies just behind it. Although the visitor centre has an additional fee to enter you can walk up to the viewing platform on top to get a great view of the entire site, and a cafe and restaurant inside allow for a quiet place to relax after walking around the moor. While the Jacobites had some success against the government forces of King George I, most notably by capturing Edinburgh and their win at the Battle of Prestonpans, they were unable to move any further into England than Derby and were eventually pushed back across the Scottish border by the much larger government forces. 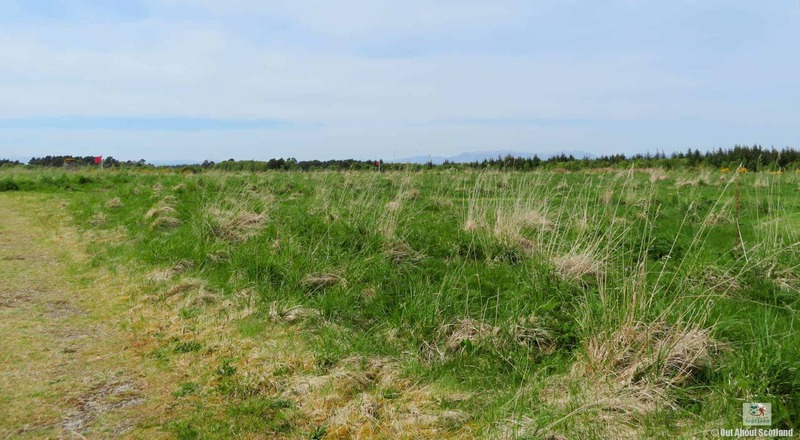 As the Jacobites moved north and made camp in Inverness, the English Duke of Cumberland drove his army to meet them for the final confrontation at Culloden, where around 8000 government troops fought against 6000 members of the Stuart army. 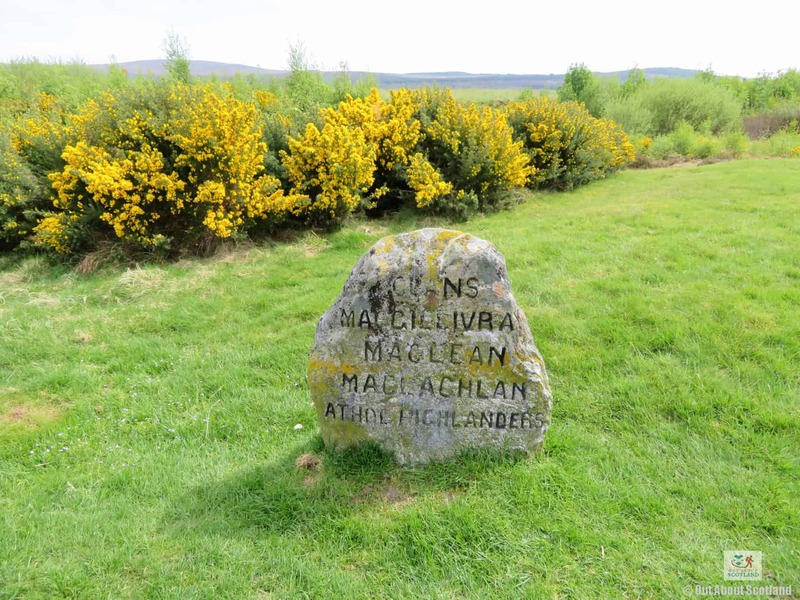 The training and discipline of the British forces overpowered the less well-trained Jacobites, and within an hour of the battle starting it was over, with 1500 Jacobites lying dead on the moor compared to only 300 government troops. 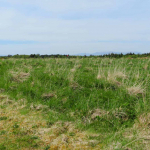 The defeat of the Jacobites at Culloden signalled a major change to the Scottish clan way of life as the British government enacted laws to integrate Scotland with the rest of Britain, with the powers of the clan lords taken away from them and acts of parliament made to ban the wearing of clan tartan colours. 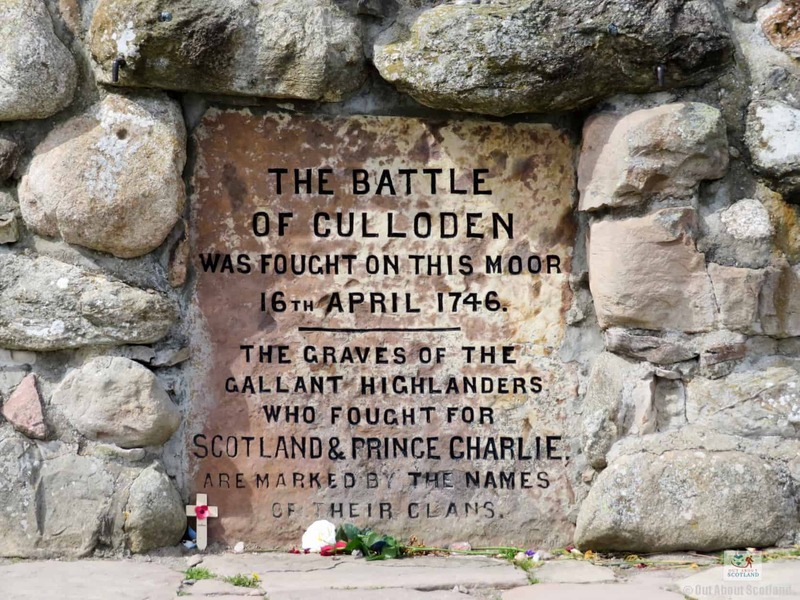 Culloden is 5 miles east of Inverness off the A9/B9006. Follow the brown tourist direction signs leading to the battlefield. There is no charge to enter the battlefield. Car parking charges may apply. 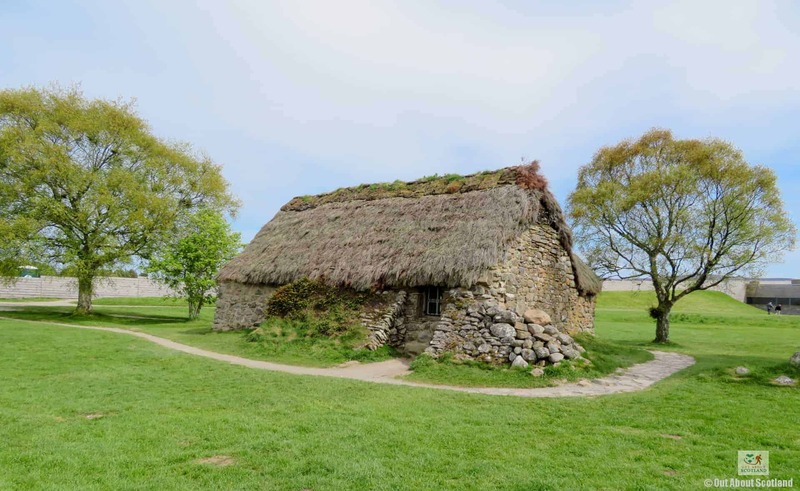 This is the National Trust for Scotland visitor centre which houses some interesting historic displays. 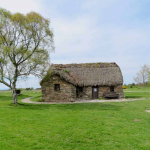 The Old Leanach farmhouse from the time of the Jacobite uprising. 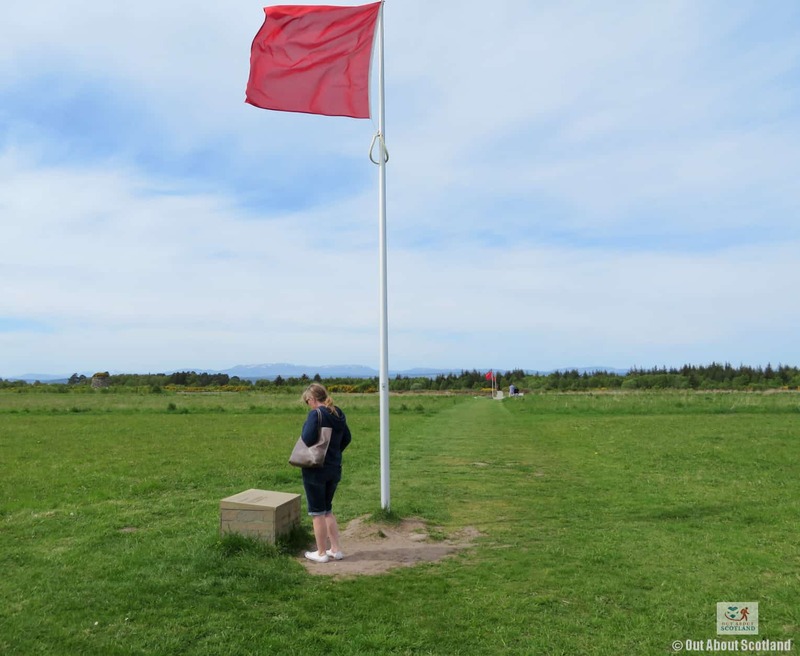 Red flags indicate the line of the Jacobite forces. 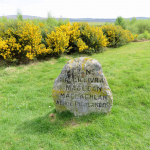 The culloden battlefield memorial plaque. 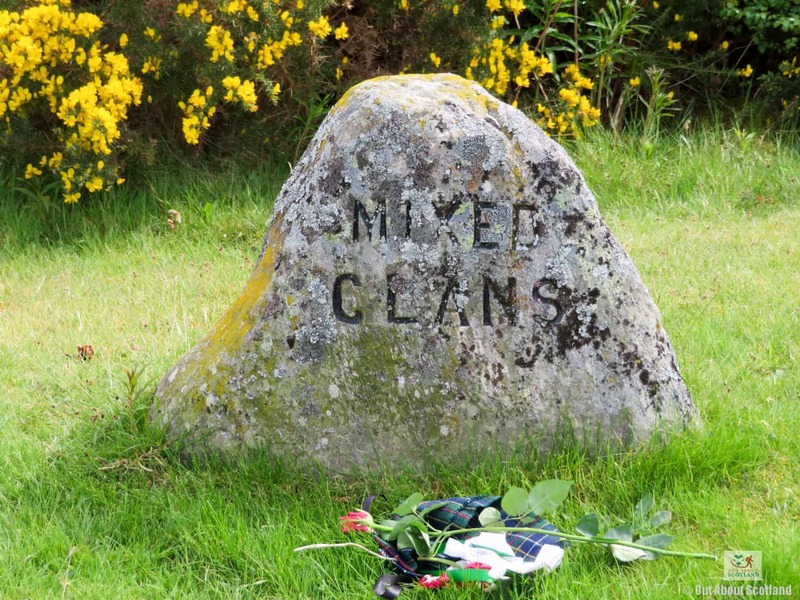 There are several stones here that memorialise each clan that fell during the battle. 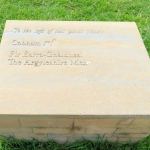 Throughout the site you'll find these tablets that indicate where importatnt events happened. The blue flags indicate the Loyalist army lines. This wall has been reconstructed but is lower than the original. Troops climbed over the original to reach the battle site.